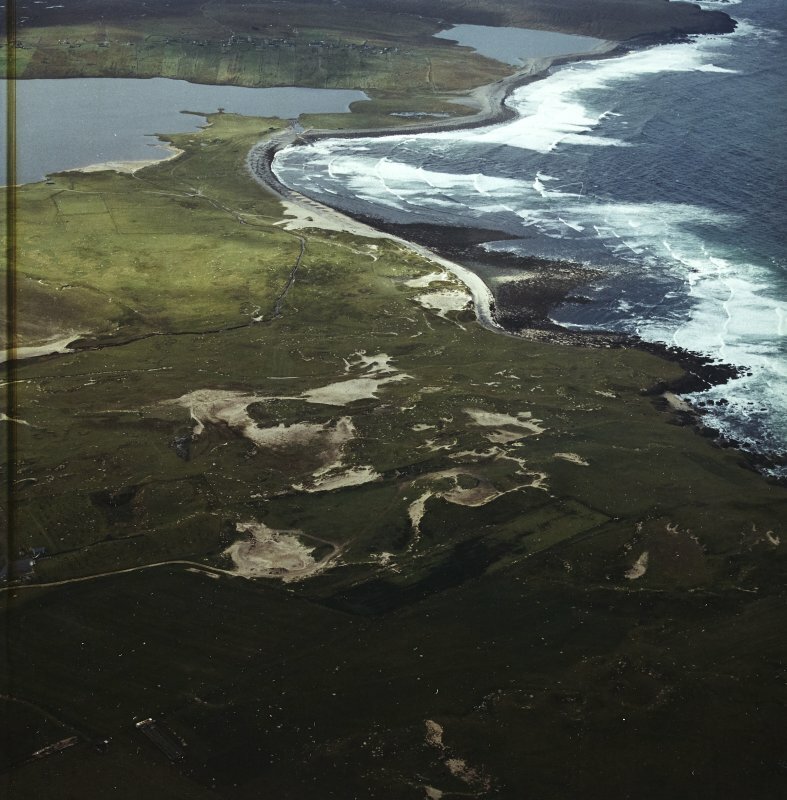 Oblique aerial view centred on the site of the archaeological remains in Barvas Sands with the burial ground adjacent, taken from the SE. 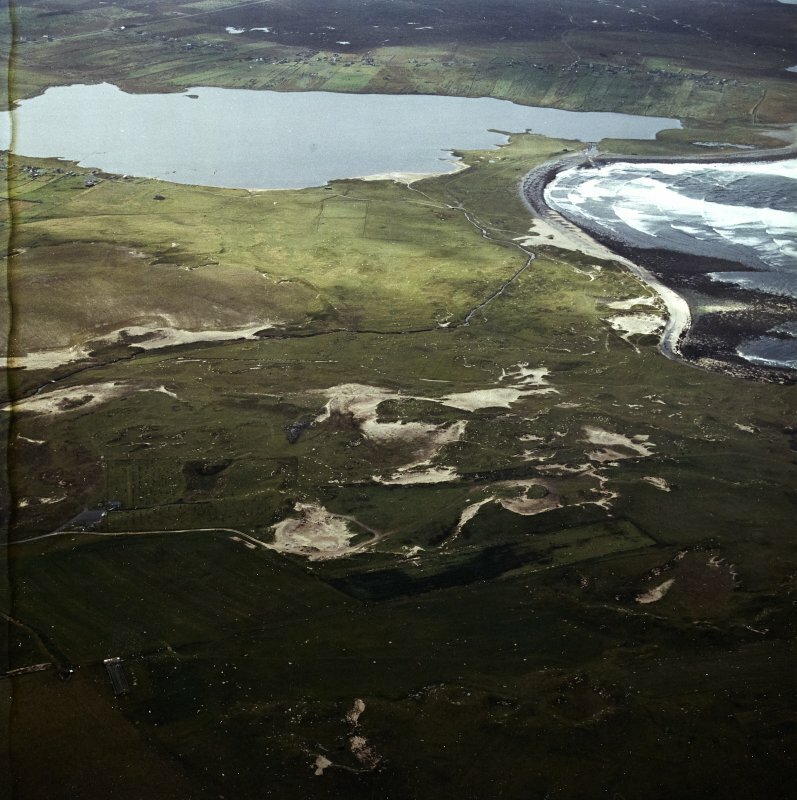 General oblique aerial view centred on Barvas Sands with the burial ground adjacent, taken from the NE. 'Church of St Mary in Barvas' - listed. No trace of the church can now be found, and the nearby burying ground, unenclosed, on a sandy hillock, contains neither tomb nor headstone. There is no trace of the church to be seen within the burial ground, enlarged, at NB 3530 5173. 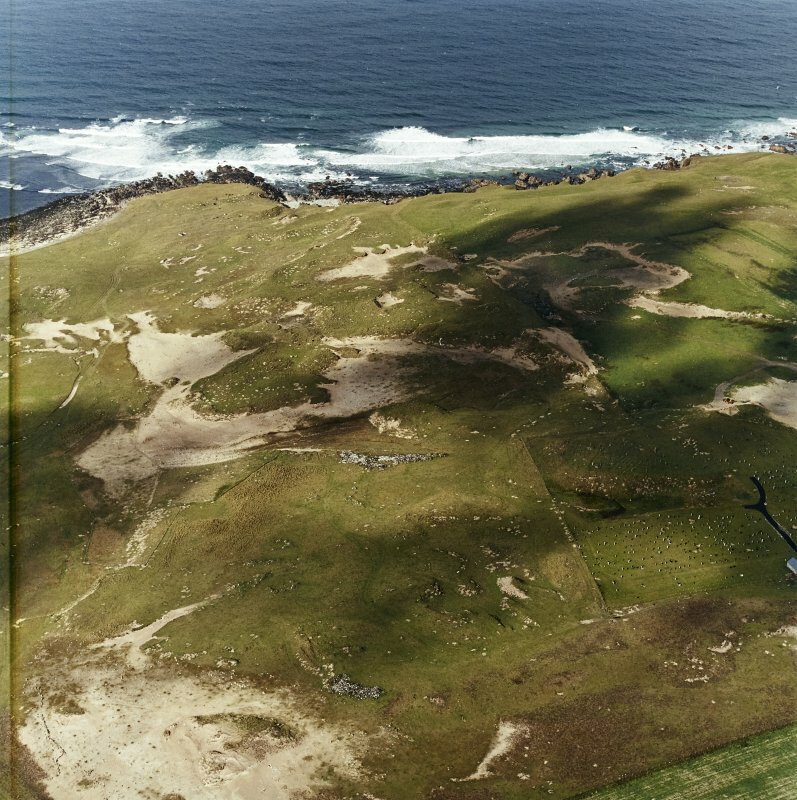 The burial ground is still used, and is known as 'Cladh Mhuire'. Visited by OS (N K B) 20 June 1969. 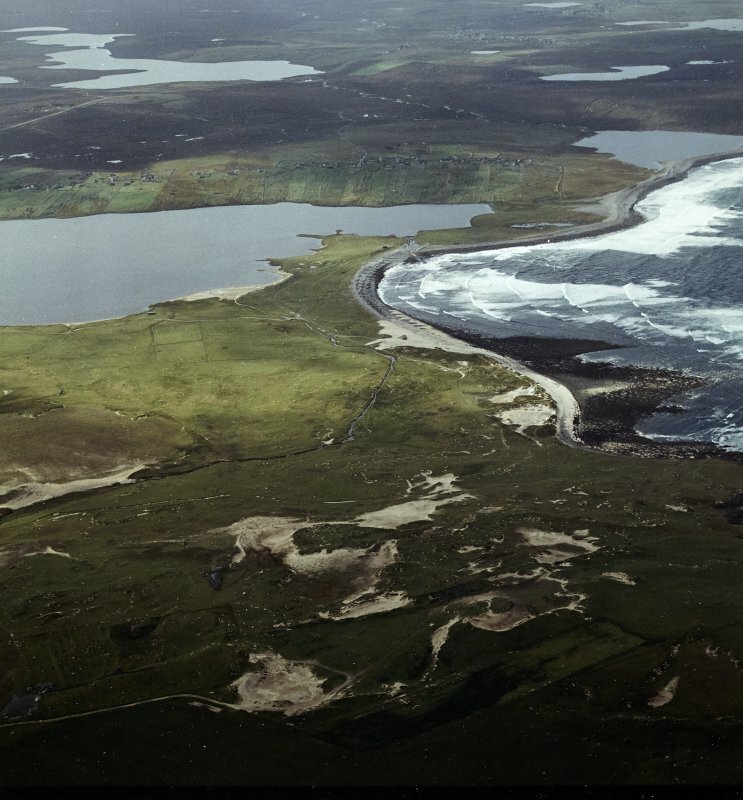 Rescue excavation of an eroding cemetery on Barvas Machair, Isle of Lewis revealed a number of cremations in stone-lined ditches, and a prone, extended female inhumation in a well-constructed cist. The cremations were dated by association with a rim and body sherd of decorated Iron Age pottery. The inhumation was accompanied by an iron bracelet, decorated with incised copper-alloy plates, which was found behind the back of the head. The lack of paralells for the bracelet makes it difficult to date, but its style is not incompatible with a Middle Iron Age date. Sponsors: HS, Comunn Eachdraidh Bharabhais agus Bhru, Comhairle nan Eilean Siar.